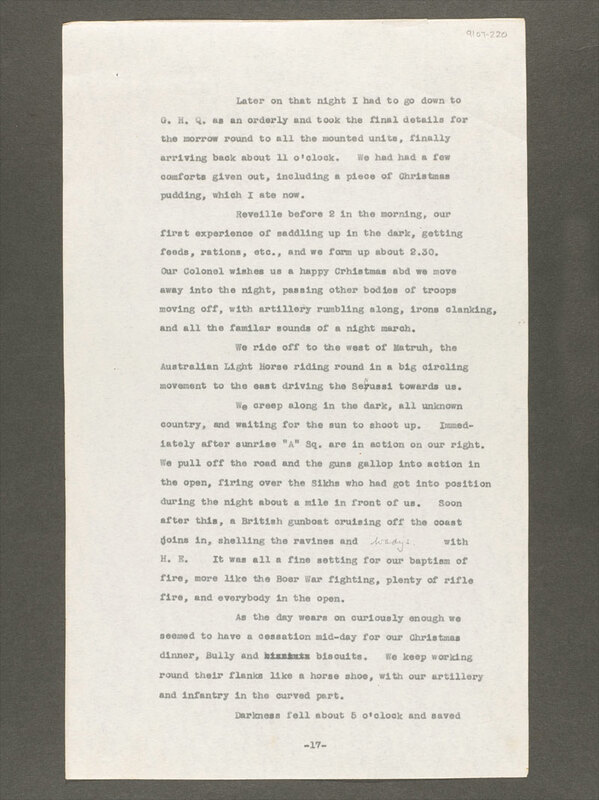 Private William Bowyer of 1/1st Buckinghamshire Yeomanry (Royal Bucks Hussars) recalls an unconventional Christmas in Egypt’s Western Desert in 1915. 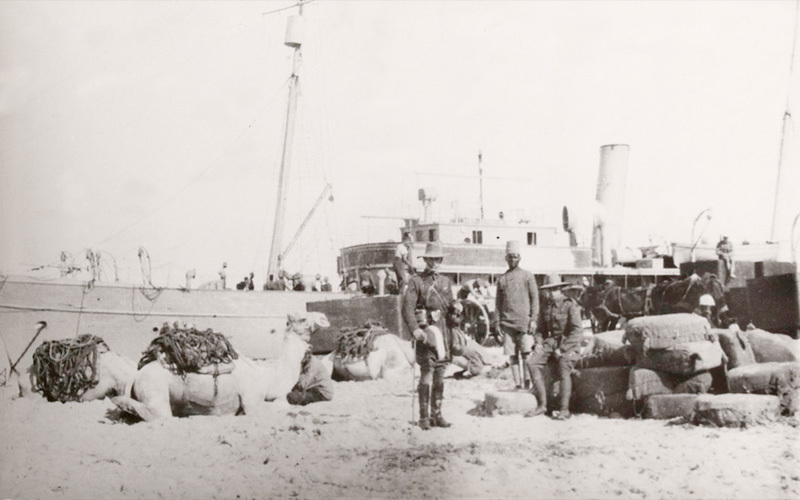 On Christmas Day 1915 British troops in Egypt fought against rebellious Senussi tribesmen near Mersa Matruh in the Western Desert. Among those taking part was Private William Bowyer of 1/1st Buckinghamshire Yeomanry (Royal Bucks Hussars) whose memoirs and photographs provide a detailed account of this largely unknown struggle. 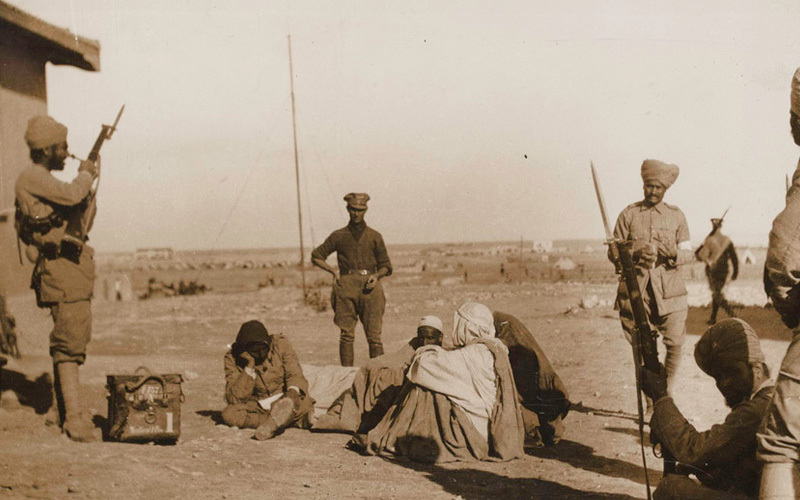 Around 5,000 Bedouin Senussi tribesmen had risen up against the Allies in Italian Libya and western Egypt on 19 November. Encouraged by the Turks, who provided them with arms, they sought to capture the coastal towns of Sollum, Mersa Matruh and Da’aba. 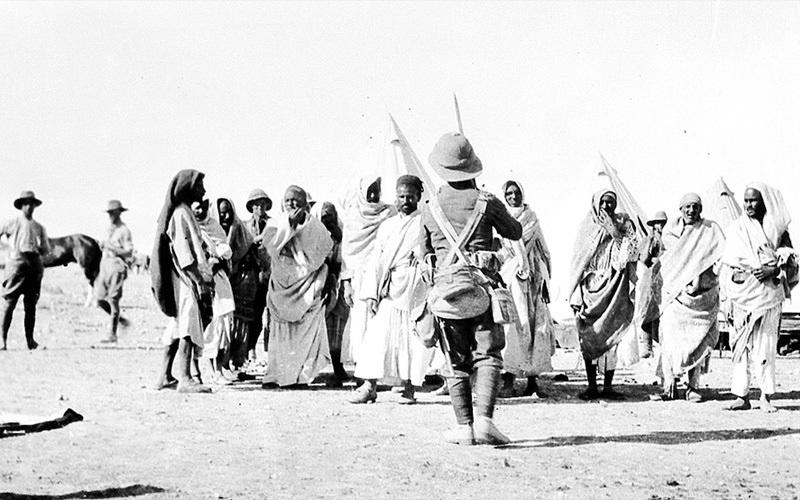 Other tribesmen occupied oases to the south, from where they launched raids into British-held territory. The bad weather delayed further operations until January 1916 when a column from Bowyer’s cavalry brigade engaged the Senussi at Halazin, some 25 miles [40km] south of their camp at Matruh. This action was again indecisive and the Senussi were able to withdraw in fairly good order. The soft ground and a lack of water for the horses meant that the cavalry could not pursue them. This led to the introduction of camels to the desert force. 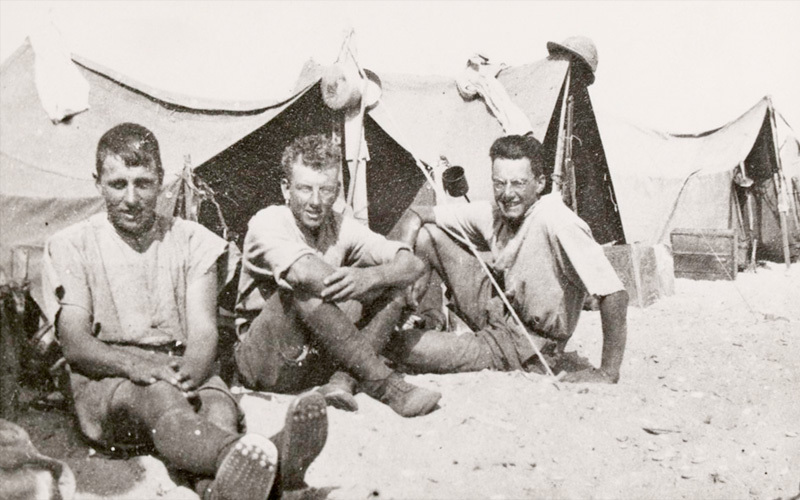 The Western Desert campaign was fought in a harsh climate, Bowyer calling it ‘about the hottest we ever had it. 120 degrees [49C] in the shade of our tents’. Sometimes ‘we could only lay and sleep from breakfast till tea-time’ so long marches were often undertaken at night. In the interior, the fighting around the oases rumbled on until the rebels were defeated by an armoured car column at Siwa in February 1917. Peace terms were then agreed and the Western Desert remained quiet for the duration of the war. Although a relatively minor threat, the revolt diverted British resources away from the Suez Canal. Luckily, an Ottoman attack there in January-February 1915 took place before the rising. Had they coincided, the revolt would have been far more dangerous to the British position in Egypt. William Basil Bowyer was born on 6 December 1892 in Forest Gate, Essex. He was the son of Joseph Bowyer, a meat salesman and farmer, and his wife Mary Gardiner. William had an older sister, Jessie, and two younger brothers, Joseph and Edward. The family resided at Carisbrook House, 28 The Avenue, Beckenham, Kent. He was educated at Dulwich College. Bowyer worked in the City before enlisting in the Spring of 1915, joining 1/1st Buckinghamshire Yeomanry (Royal Bucks Hussars) at their recruiting office in Cheapside. The Yeomanry were the mounted arm of the Territorial Force. 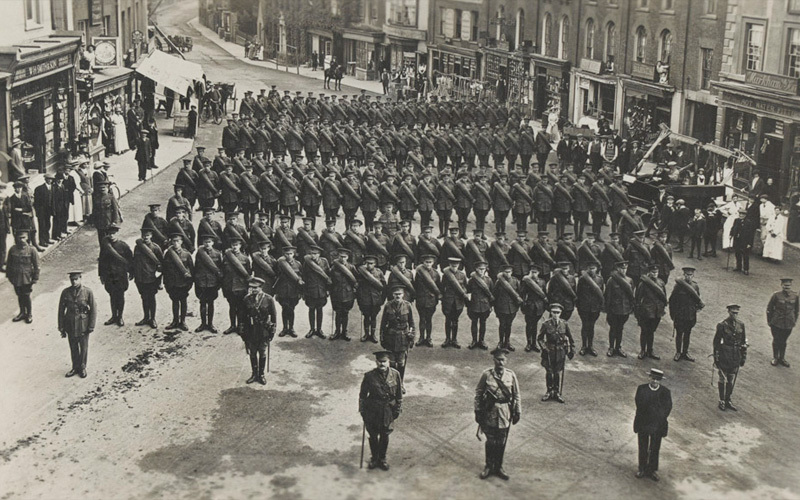 The Royal Bucks Hussars were mobilised at Buckingham on 4 August 1914. After training at Buckingham riding school and Tidworth camp, they undertook a spell of coastal defence duties. They then sailed for Egypt with 2nd Mounted Division, departing from Plymouth on the SS ‘Ausonia’ in April 1915. 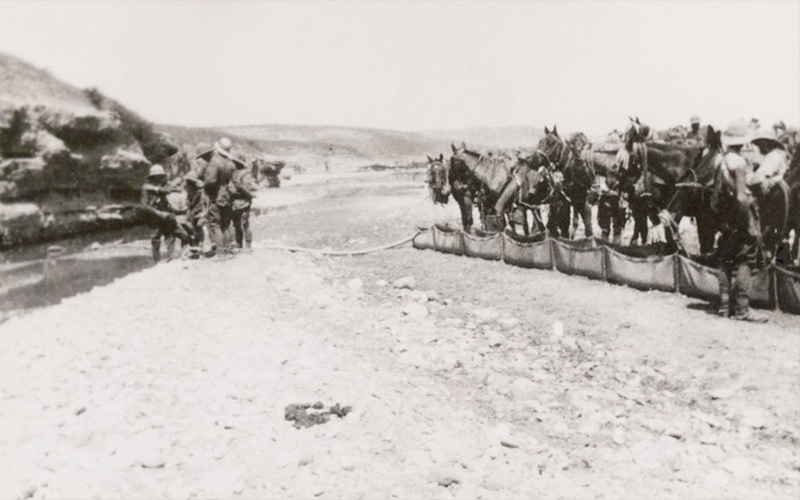 The regiment was temporarily dismounted in August and landed at Suvla Bay, Gallipoli, on 18 August 1915. They took part in the attack on Chocolate Hill on 21 August, suffering over 100 casualties. 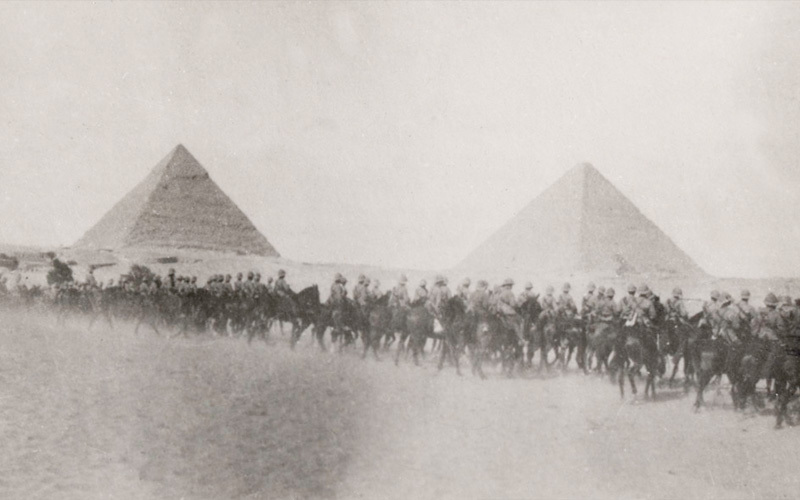 The Bucks were withdrawn to Egypt in November 1915 with the newly-formed 1st Composite Mounted Brigade to operate against the pro-Turkish Senussi along the Libyan frontier. 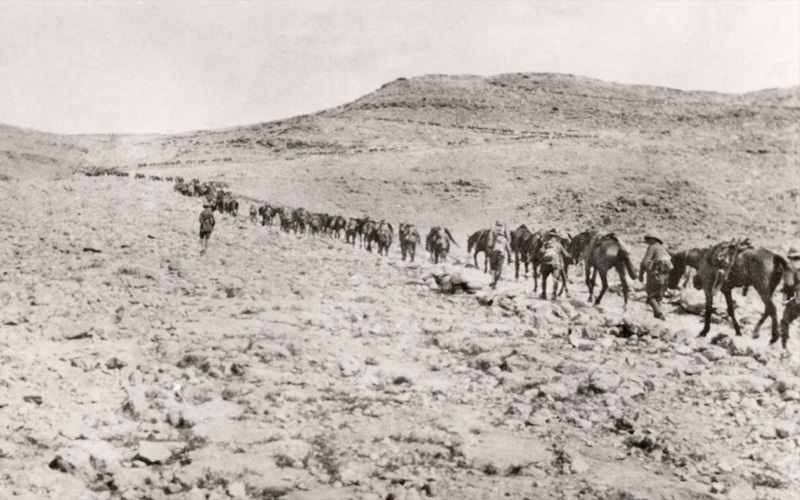 The Bucks later served in Sinai and Palestine with 6th Mounted Brigade of the Imperial Mounted Division, taking part in the First and Second Battles of Gaza in March and April 1917. 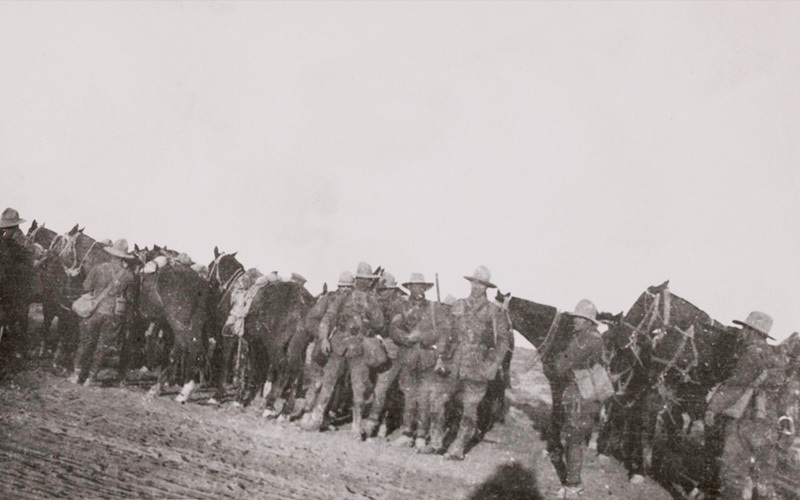 Transferred to the Yeomanry Mounted Division in June 1917, they then fought at Beersheba and in the Third Battle of Gaza in October and November 1917, before entering Jerusalem in December. After training with their new weapons, Bowyer’s unit left Alexandria on board HMT ‘Leasowe Castle’. She was torpedoed and sunk by U-51 on 27 May 1918 in the Mediteranean. Bowyer was picked up by a life boat and then returned to Alexandria by a Japanese destroyer, but 102 of the passengers and crew died. In June 1918 the 101st moved to Taranto and then journeyed by train to France. Bowyer was subsequently promoted to corporal. His unit spent the remainder of the war on the Western Front, fighting in many of the battles of the ‘Hundred Days’ Offensive. In Autumn 1918 Bowyer was selected for the Officer Training Corps but the war ended before he was commissioned. On returning to civilian life, Bowyer farmed for many years at Clare and Great Yeldham. In 1935 he moved to Dukes farm in Layer Marney near Colchester. He was also a successful breeder of racehorses. During the Second World War he commanded Layer Marney and Birch Home Guard. Bowyer died in October 1981 aged 89 in Sudbury, Suffolk.